What is postmodernism? Is it a problem? The following continues a series of posts explaining postmodernism. It is based on the excellent Explaining Postmodernism: Skepticism and Socialism from Rousseau to Foucault, by Prof. Stephen Hicks. Rousseau and the French Revolution were major tipping points. Rousseau’s ideas had inflamed the French Revolution and Reign of Terror. Finally, Napoleon rose to power. Napoleon gave Germany an epic case of post-traumatic stress disorder. His armies trounced Germany. He ended the Holy Roman Empire. He occupied German territories. He imposed foreign values on the Germans. The Germans blamed the Enlightenment for their humiliation. German Counter-Enlightenment thinkers brooded on this mess. The dark forests of German culture and tradition had very deep roots. The now defunct Holy Roman Empire was the heritage of Charlemagne and Charles “The Hammer” Martel. One thousand years before, they had defeated the Islamic invaders of Europe and begun driving the invaders from Spain. Seven centuries before that, the Germanic tribes had defeated the Roman invaders, ending their conquest of northern Europe. Now, a foreign invader had conquered them. Napoleon personified the Enlightenment (to them), uprooting and burning their traditions, forcibly planting his foreign ideas in the German soil. Deep in the dark German forests, the Counter-Enlightenment ruminated on its fate. When last we saw our Counter-Enlightenment hero, Immanuel Kant (defender of the faith) had smote the Enlightenment a crippling blow. He had taken logic’s razor and deftly sliced away the idea of objective truth, leaving reason staggering about, blind in one eye. Now, only subjective truth remained. Then, Kant took his subjectivity and went medieval on the Enlightenment. Kant was a Rousseau fanboy. He read and reread Rousseau’s books (mooning over Rousseau’s romantic Emile). He hung Rousseau’s picture on his wall (like a Counter-Enlightenment poster boy). Kant had some liberal ideas and had cheered on the French Revolution (in a not very Prussian way). However, Rousseau’s passionate idealism got Kant fired up. Kant was passionate about cherished German ideals: feudalism and militarism. Prussia was the last bastion of feudal German militarism. Prussia had a cherished military heritage (from the medieval Teutonic Knights to Frederick the Great). It had been a bulwark against foreign invaders. Otherwise, Prussia was largely a cultural and intellectual backwater (uneducated, feudal, and warlike). Kant longed for the feudal Prussian ideal, when life was cheap, and folks suffered happily, until their masters sent them to die in war. (Ah, those were the days.) This was “the hidden plan of Nature”. This was human progress. Human life is cheap, and we should suffer happily. We play our role, then “nature abandons individuals to complete destruction,” Kant tells us. Our suffering matters not. “Nature is utterly unconcerned that man live well,” he instructed, “Nobody should wish that [life] should be longer than it actually is.” We deserve to suffer (for the original sin of reason). Human greatness is achieved (collectively), through war. Nature “uses [war] to bring about the development of all man’s capacities,” Kant instructs us, “War is an indispensable means for bringing [culture] to a higher stage.” Each of us is just “an animal that … has need of a master”, he wrote, “who will break [our] self will and force [us] to obey a universally valid will”. This is morality – selfless duty unto death. And so, we should make war until judgment day (when Heimdallr blows his Gjallarhorn). Kant was no Enlightenment liberal. He shared much in common with Rousseau – passionate idealism, collectivism, the general (universal) will, and unthinking duty. 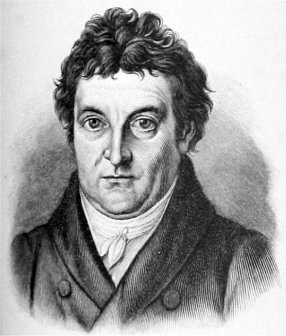 To Rousseau’s totalitarian collectivism, Kant added a peculiar German twist. 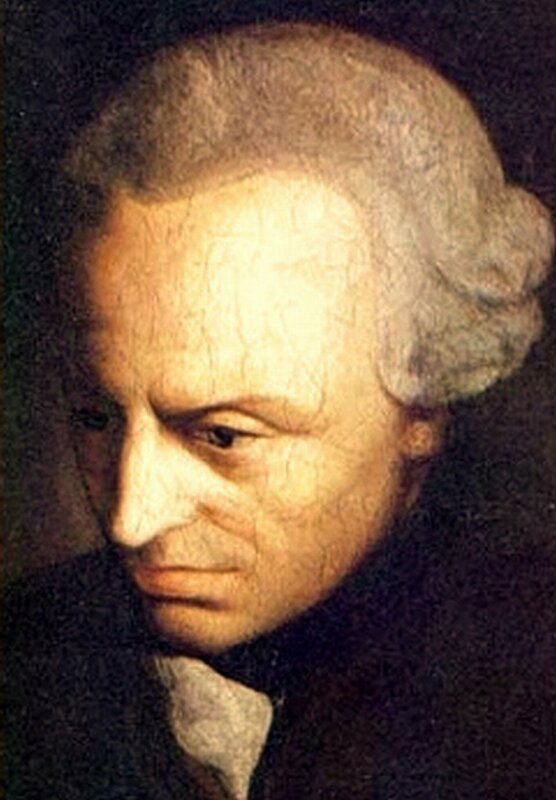 Kant (defender of the faith) added, not only a feudal Prussian militarism, but also a pagan Germanic morality (a warrior cult and death wish). His ideals seem to regurgitate pagan Germanic warrior myths of Valhalla and Ragnarök (judgment day). Other German thinkers and politicians would take up these themes, helping lead to German reunification, Nazism, the World Wars, and the Soviet destruction of Kant’s home town of Königsberg in the Second World War. Today, Königsberg is the Russian city of Kaliningrad. German brooding continues. Next, Part 15: Herder’s Volksgeist.